We’d love your help. 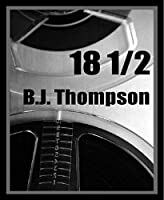 Let us know what’s wrong with this preview of Eighteen Minutes to the Beast - A Nixon Watergate Thriller by B.J. Thompson. The knowledge Ed and Harry possess traps them in a covert world, involving operations as far west as Nixon's La Casa Paci Two audio techs have solved the eighteen minute gap on Nixon Watergate Tape 342. The knowledge Ed and Harry possess traps them in a covert world, involving operations as far west as Nixon's La Casa Pacifica in San Clemente, California, and as far east as the Virginia CIA Training Facility at Camp Peary, along the way finding themselves buried alive in a Deep Underground Military Base, meeting men of fame and fortune thought long since dead. 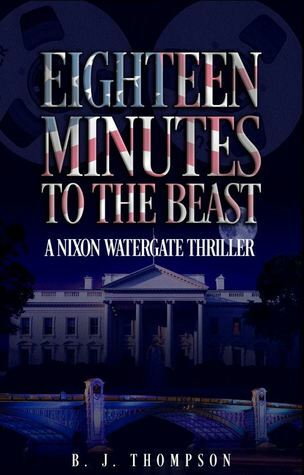 To ask other readers questions about Eighteen Minutes to the Beast - A Nixon Watergate Thriller, please sign up. Washington DC. Nixon Watergate Tape # 342. Who or why were minutes erased on this tape? Greenbrier. What were Mr. Edward “Ed” Tooksberry Mr. Harry McClellan, Jimmy, Ethan, Kenny & Bobby up to? A very awesome book cover, great font & writing style. A very well wri Washington DC. Nixon Watergate Tape # 342. Who or why were minutes erased on this tape? A very awesome book cover, great font & writing style. A very well written historical fiction (parody, satire?) book. It was very easy for me to read/follow from start/finish & never a dull moment. There were no grammar/typo errors, nor any repetitive or out of line sequence sentences. Lots of exciting scenarios, with several twists/turns & a great set of unique characters to keep track of. Pretty Cheesy so I will only rate it at 3/5 stars. Barbara Thompson is a retired public relations liaison and currently a Calgary, Canada-based freelance editor and author of three literary/historical novels; No More Blood - Epilogue to the life of Truman Capote & In Cold Blood, Eighteen Minutes to the Beast - a Nixon Watergate Thriller, and Sessions - Predator vs. Shrink Who will survive? The overriding theme in Barbara's work concerns the pro Barbara Thompson is a retired public relations liaison and currently a Calgary, Canada-based freelance editor and author of three literary/historical novels; No More Blood - Epilogue to the life of Truman Capote & In Cold Blood, Eighteen Minutes to the Beast - a Nixon Watergate Thriller, and Sessions - Predator vs. Shrink Who will survive? The overriding theme in Barbara's work concerns the process of death, whether it be death of an historical icon, an idea or an event, her works cover those final moments when ultimate truth plays the only role. Barbara’s preferred way to tell a tale is through the Non-Fiction Novel approach; whereby iconic people and/or milestone moments in the past are tweaked and warped ever so slightly to reveal an answer to a long-held mystery or a societal question, folding in fictional characters and locales to more colour the story and give it a rich feel and vibrant atmosphere, to better weave the fantasy within the reality. Barbara grew up in the Lake Country District of southern Ontario, Canada. The only child to an RCMP Constable father and Industrial Accountant mother who grew up very Anglo-Saxon, very Northern Irish. Funeral wakes were a large part of Barbara's life, starting at the tender age of three, so death—its meaning and role in life—took centre stage. With Barbara’s B. A. Degree in Language Arts and her subsequent career in Communications, once retired, writing on life's final moments was inevitable. Barbara has done extensive travelling and now lives to swim, hike and fish in the Rocky Mountains, enjoy friends and family, leads an avant garde writers group likened on the 1920s Montparnasse style, and pen her tales on either side of Cocktail Hour.